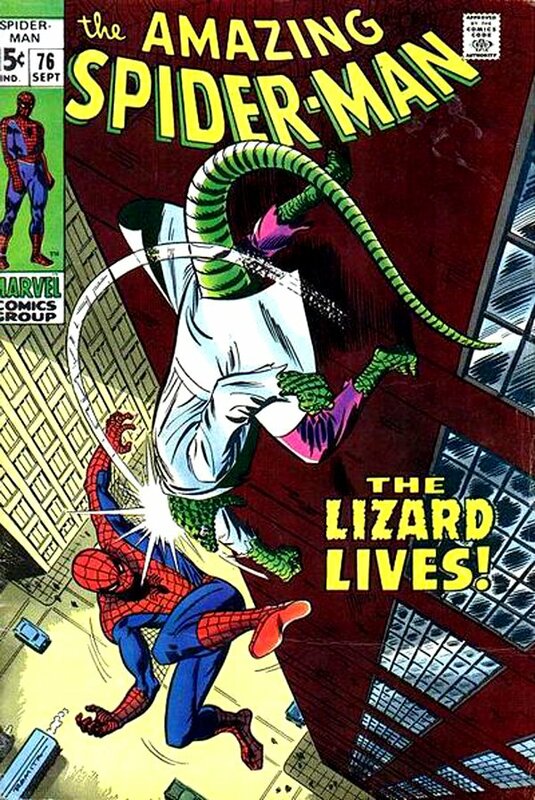 Click Here To See Amazing Spider-Man #76 Comic Book! 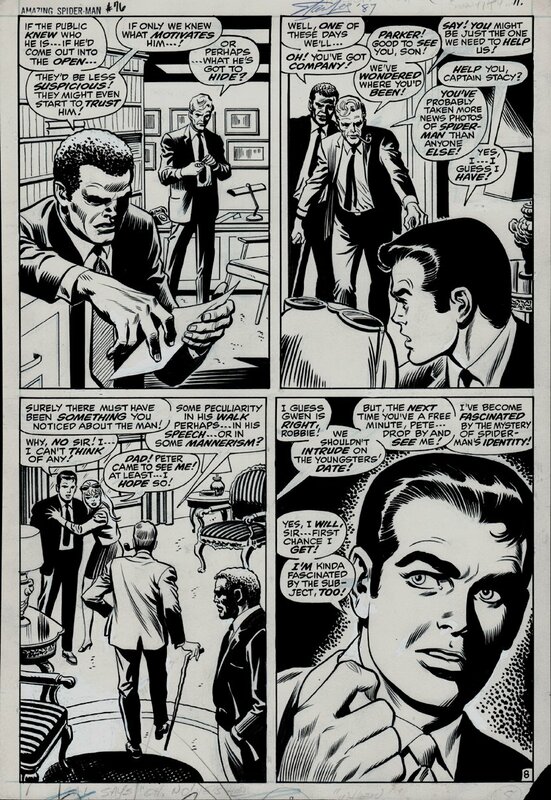 Check out this very nice SILVER AGE 1969 Amazing Spider-Man page, which was penciled by the great John Buscema, and inked by Jim Mooney, from the story titled: "The Lizard Lives!" This nice page features Peter Parker and Gwen Stacy on a date, while Captain Stacy and Robbie Robertson show up! Captain Stacy is trying to figure out Spider-Man's secret identity as he asks Peter Parker for help. Page was signed at the very top by Stan Lee back in 1987 also. SILVER AGE Amazing Spider-Man pages are VERY hard to find in the hobby these days, so don't miss out on a great opportunity here to own a nice SILVER Age 1969 Amazing Spider-Man page! ALL art on our website (including this one) are able to be purchased with VERY fair time payments, and trades are always considered towards "ANY" art on our website! Just send us an email to mikeburkey@aol.com and we can try to work something out.